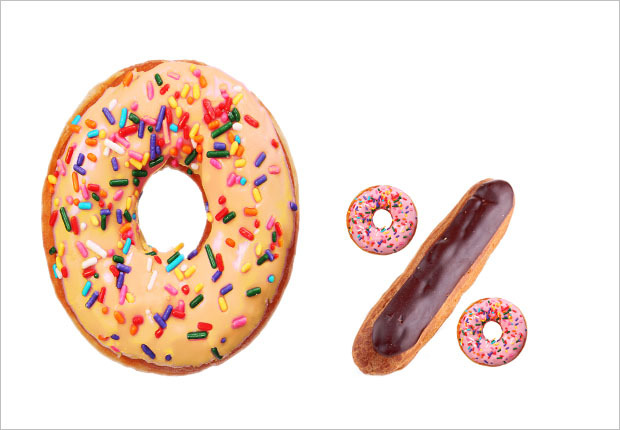 Doughnuts with 0% fat? You just wouldn't believe it. Car finance with 0% interest? It's the same deal. At first glance, it seems like 0% finance is an unbeatable deal. You can't get less than 0% interest, right? You won't be surprised to know there's a catch. And actually, more than one. Every 0% finance offer comes with terms and conditions so if you're considering a 0% finance offer, weigh up the following points before deciding if 0% finance is right for you. If you're taking 0% finance, you may have to pay the full retail price for the car, with no room for negotiations. You'll need to work out if the money you save on interest by taking 0% finance is more than the saving you could have negotiated on the sale price. Even if it is, there are still other hidden costs to 0% finance to consider. Trading in your car? If you're taking a 0% finance deal, you probably won't get the same trade-in value you would've got if you were paying cash or financing independently. If the only thing you gave up for 0% finance was a great trade-in deal, you'd probably be okay with that. However, when you get a lower value for your trade-in, pay the full retail value of the car and forego a few options, the true cost of that 0% finance deal starts to add up. 0% finance is typically offered over a shorter term than you may have been able to access elsewhere. So the repayments on a maximum loan term of two or three years may come as a shock to your budget. It's not a deal breaker if you have the cash flow to manage the repayments, but hard if you're counting on lower monthly repayments. Looking at a special edition model and leather trim? 0% finance is usually offered as an incentive to clear new and demonstrator stock of popular, entry-level vehicles. If you're looking at a special edition vehicle, or any optional extras or upgrades, 0% finance may be off the table. When 0% finance is offered to clear excess stock of a particular car, there will be a lot of the same car sold. Fast forward three years, when all the 0% finance contracts end. You own your car outright, and you decide to sell it, and upgrade. Unfortunately you won’t be the only one. The surplus of used cars (previously bought at the same time on 0% finance) hitting the second-hand car market, means unfortunately you might find your resale value is compromised. While 'finance for approved applicants only' is a standard disclaimer for finance products, it's worth checking if there's other criteria you'll need to meet to get the deal. For example, some 0% finance deals are only available to business customers (you'll need to have an ABN). Ultimately, if you're considering a 0% finance deal, be sure to weigh up the hidden costs and trade-offs you'll have to make to get the lowest of low rates on finance. Or skip the uncertainty and speak to a stratton finance consultant to discuss your options. Give them a call on 1300 STRATTON (787 288) or start with an online quote in just 60 seconds.